The Tsitsikamma Village Inn offers 49 beautiful and individually decorated rooms. 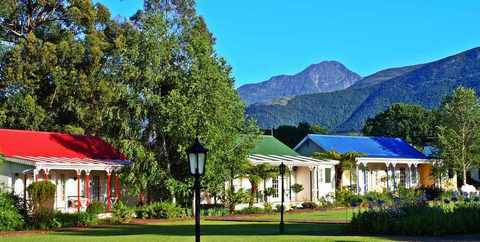 This historic hotel, offering scenic accommodation in Storms River along the Garden Route of South Africa, was established in 1946. This hotel is situated in the Storms River Village tucked away in the lush Tsitsikamma forest, close to Storms River Mouth, in the Tsitsikamma National Park. This historic South African hotel has served as a stop-over for travellers for more than a century. Most of the rooms are situated around a typical Village green. These buildings reflect many of the different building styles that were to be found in the Cape Colony during the 1800s. We offer 49 unique and individually decorated rooms, each with it's own bathroom. We offer affordable rates for excellent service and a comfortable stay. Our check-in time is from 02:00pm and our check-out time is from 10:00am. 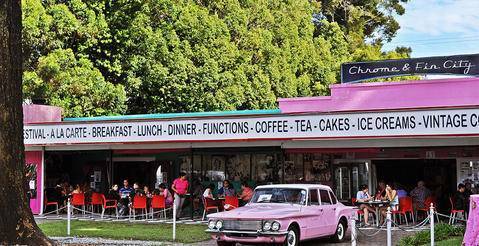 Marilyn's 60's Diner is one of our onsite restaurants, and a must-see when traveling along the Garden Route. 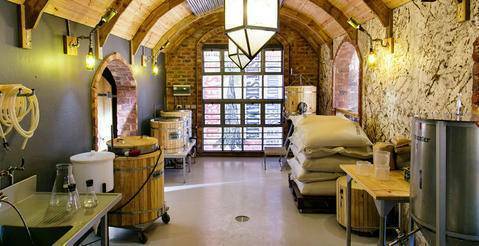 Visit us between 09:00am - 08:00pm Monday to Sunday.